Another surprise photoshoot but this time, instead of a cute couple, it was for Ashlei Wells of Wellsdressed.com! 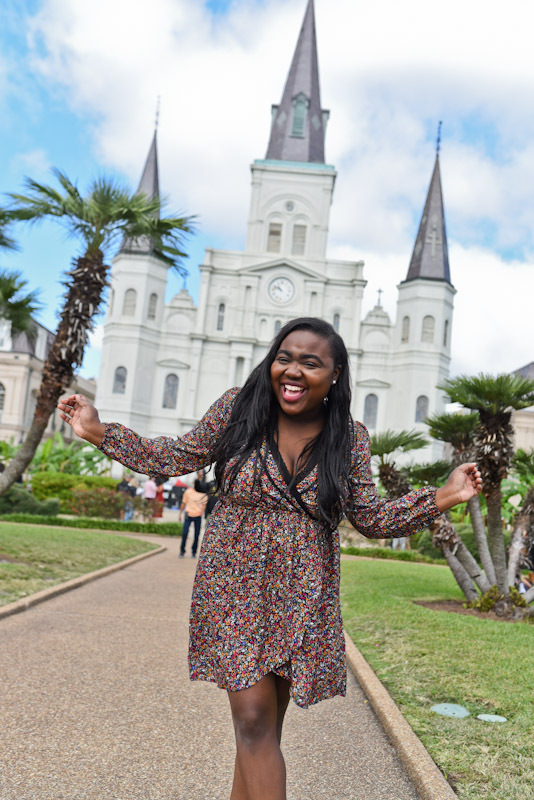 Often drawn down south to New Orleans and inspired to take trips to experience new things Ashlei found herself embarking on another little Louisiana Adventure. Her boyfriend, Matt, wasn’t able to make the trip this time and decided to surprise Ashlei with a photoshoot to support her passion for fashion. 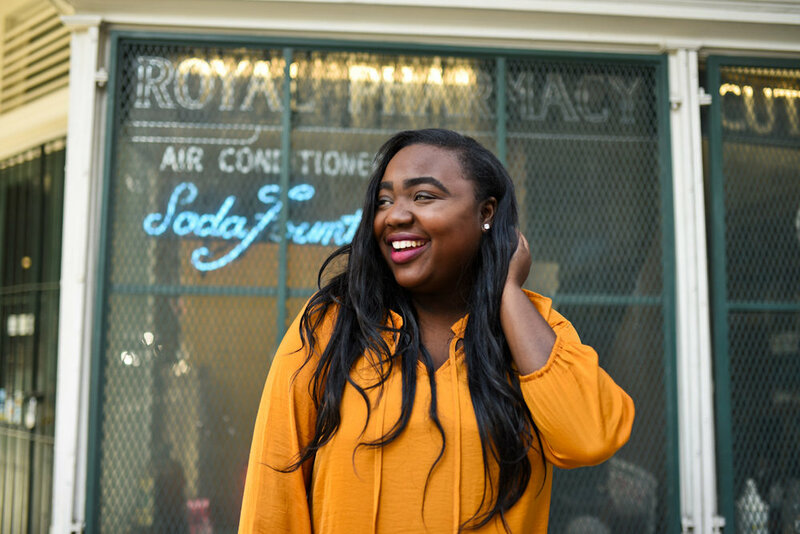 We had so much fun wandering around the quarter, sharing stories, and looking for the perfect colors to compliment Ashlei’s adorable style. This fancy gal eats, sleeps, and breaths fashion! Not only does she run a fashion blog but she’s also a clothing buyer for a department store. I wonder if any new trends caught her eye walking down the streets in the french quarter. With thousands of tourists pouring in every month you never know what you’ll see walking down Royal street or who for that matter. I think it’s so important to support other badass women and I love that this one isn’t afraid to travel alone. If there’s something she wants she’s willing to go for it, even if it’s hundreds of miles away. This time it was a trip to New Orleans, the night before our shoot a visit to Bourbon Street, and I’ll be excited to see what comes next! Life is the biggest adventure!